by Natasa Radicevic, Last Updated on March 28, 2018 88 Comments. ePacket is a shipping method offered by China Post Express & Logistics for shipping goods worldwide. It’s a reliable service that’s cheap, quick and offers end-to-end tracking. But, if you’re here, you probably already know that. ePacket supports many countries around the world. As of January 2018, 38 countries are supported by ePacket and the list is always expanding. But India is not on the list of supported countries for ePacket! How can I ship to India? Yes, unfortunately, India is not supported by ePacket shipping. 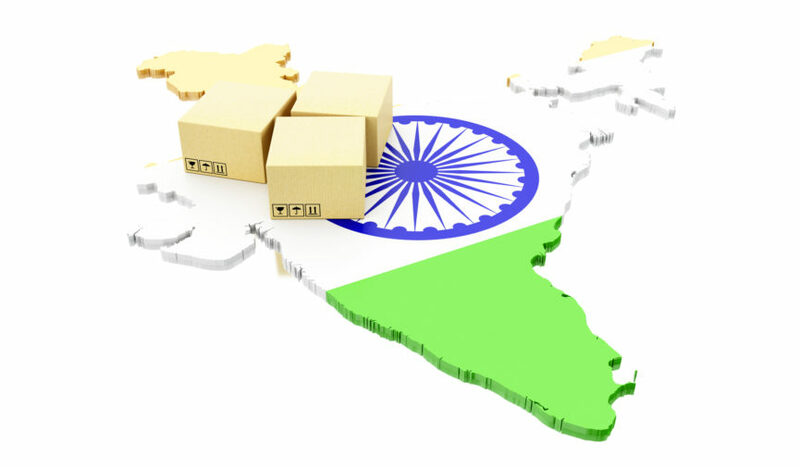 However, there are other shipping services we offer that do support shipping to India among other countries. In order to better serve the ecommerce community around the world, China Post decided to offer another similar logistics service called eCourier. This shipping service differs from ePacket in allowing to ship products with batteries and having a slightly different list of supported countries. Yet another option for shipping to India is shipping service called Express Parcel that is offered by DPEX shipping courier. This is a very similar shipping service to ePacket and eCourier in terms of delivery times and prices. What are restrictions for shipping from China to India? Of course, as with all shipping services, there are always certain restrictions that you’d have to take into account. First, it is important for you to know that there are two eCourier options for shipping to India - Small Packet and Special Line. Also, there is a maximum declaration value for each package that varies based on the country you’re shipping to. If you need to ship a package that’s more expensive than that, you’ll need to choose an alternative shipping method. Another restriction is limited tracking for Small Packet. DPEX does not have any restrictions regarding declaration value. However, there is a fuel surcharge - additional cost that is calculated on top of shipping price and it changes every month. Monthly fuel surcharge fee can be found on the DPEX official website. Unfortunately, neither option allows you to ship products that contain liquids or aerosols. However, even with these restrictions these services are great options since they are still significantly faster than regular post while also being considerably cheaper in comparison with courier services such as FedEx or DHL. Prices and delivery times are comparable to ePacket. Here’s a quick overview of the differences between the two eCourier shipping options and Express Parcel. Maximum package size: The longest side of a regular package should not be more than 60 cm. Additionally, the sum of the length, width and height should not be greater than 90 cm (l + w + h ≦ 90). You cannot ship products with batteries. Who should use eCourier’s Small Packet? This is a right choice for your ecommerce business if the products that you want to dropship are relatively light, they do not contain batteries, you have low margin on them, you need cheap and fast shipping from China to India and you can live without proper tracking. Maximum package size: The longest side of a package should not be more than 150 cm and the sum of the length, width and height should not be greater than 200 cm (l + w + h ≦ 200). You can ship products with batteries using the Special Line service. If the volumetric weight (L * W * H / 6000) is greater than the actual weight of the package, the shipping price will need to be calculated based on the volumetric weight. Estimated China Post EMS delivery time for both eCourier services - Small Packet and Special Line - is 8 to 13 business days and tracking is available for both Small Packet and Special Line. Who should use eCourier’s Special Line? This is a right choice for your ecommerce business if the products that you want to dropship contain batteries, you need cheap and fast shipping from China to India and you need full end-to-end tracking. The minimum weight charged for any shipment is 500 grams. Estimated DPEX delivery time is 10 to 17 business days and tracking is available. Who should use DPEX Express Parcle? This is a right choice for your ecommerce business if the products that you want to ship are heavier and they do not contain batteries. If you need to ship packages that are relatively light (up to 1.5kg), we would recommend using Small Packet. Of course, if you need full tracking, DPEX is the better choice, just keep in mind that minimum weight charged for any shipment using DPEX Express Parcel is 500 grams, so if you need to ship packages that weigh 300 grams, you will still be charged for 500 grams. Are you interested in shipping from China to India? Excited yet? Ready to scale your business to the next level by using our warehouse in China and taking advantage of great pricing and quick shipping to send your customers’ orders directly to them via eCourier? If you are, fill out our quote request form and someone from our team will reach out to you as soon as possible with a pricing offer that best suits your business! Please send me the full details for ecourier for shipping from China to India. I will send you an email explaining all the details about shipping from China to India. We will explain all the details about shipping from China to India in an email. Can you share the details with me too. Sure, I’ll send you all the details about shipping from China to India in an email. WE are drop shipping products from China to India. We’ve received your quote request. I will send you all the details via email. Could you send me an email explaining details about shipping from China to India. Yes, of course. I will send you an email explaining all the details about shipping from China to India. Let me know the details of Shipping to India. I’ve sent you an email about shipping to India using eCourier service. Let me know if there’s anything else I can help you with. Pl send details about eCourier. I will send you the details about eCourier shipping service via email. hello there can anyone send me the detail price for shipping from China to India from ecourier !! I’d be happy to help you out! I’ve sent you more information about shipping from China to India using eCourier to your email address. We are Dshipping to India + other countries and would love to know details of your services among other questions. Please do help dropping us an email to carry this converation forward. Cheers. We’d be happy to discuss with you how we can help you scale your e-commerce business. I will send you an email very soon. Hi Natasha..Could you please send me the details of shipping from China to India..
Of course, I will send you an email with all the details about shipping to India very soon. I’ve sent you more details about shipping from China to India. Please Send Us Details Regarding Ecourier For China to India. I have sent you more information about shipping to India using eCourier. I have sent you more information about shipping from China to India. I’ve sent you an email on January 4th. I’ve also forwarded the same email to the email you provided. Can you please check if my emails went to your Spam folder? Thank you for reaching out! I’ll send you details in an email. AS I start my dropshiping buisness from Chima to India. Could you please tell me a Fast And best way of shiping service to India. I will send you an email with details regarding shipping to India. Thank you for reaching out! I will send you an email with the details about our logistics services for shipping from China. Thank you for reaching out! I’ll send you an email soon with the details regarding shipping from China to India. Hey Natasha thànk you 🙂 for this valuable info.. Could you kindly enlighten me more about ecourier shipping from china to india, Cost and all.. Thnx a lot..
Of course, I’ll send you an email with the details concerning shipping to India from China. I just started Ecommerce store and wants dropshipping in India. Can you explain me the best available ecourier company. How our services work is that you send your products to our warehouse. We store your products until you receive orders and once the orders come in, we pack products and ship them directly to your customers using different shipping services. In order for us to choose shipping service that suits your needs the best, we just need some information about your products. So, please submit a quote request and someone from our team will contact you ASAP with our offer. Is there any possibility of providing e packet service to India? Can u please tell me the details about ecourier service to India from China . We’d be happy to provide more information about eCourier and shipping from China to India however, we require more details in order to give you an accurate quote. Can you provide me details of fastest shipping ways from China to India. We’d be happy to provide more information on faster shipping options from China to India however, we require more details in order to give you an accurate quote. I am starting a Drop Shipping website and looking for epacket and ecourier services from China to India. I need info what are the best suitable options from China to India. Also in future are you starting trails for Epacket services to India too. India is the second most biggest market after China as more population is there. Thank you for reaching out! There are a couple of options we can offer you for shipping from China to India. If you’re interested in learning more about how we can help you with shipping from China, please submit a quote request, and someone from our team will contact you ASAP. As for when is India going to be on the list of supported countries, we cannot give you an answer on that question, because that’s entirely up to China Post EMS. China Post offers ePacket service and only they can decide whether or not they want to support shipping to certain countries. Hi, I want to get a parcel from china to india. We can offer you a couple of services that support shipping from China to India. Please leave a quote request, and someone from our team will reach out to you. Hi I’m starting a dropshipping ecommerce buisness in India. I filled in your request form. Can you please respond to me with all the shipping methods and pricing ASAP? Please submit a quote request and tell us a little bit about products you’d like to ship and we will send you a quotation for our services. Please share the full details of shipping from China to India for Dropshipping. Iam starting out, my store is ready & set to go, and the quickest reply will really help. Thanks a ton. We’d be happy to help you out with figuring the best solution for your dropshipping business! Just submit a quote request and give us some details about what exactly you need and someone from our team will reach out to you with all the details. Thank you for reaching out! Before we can send you our offer for services you’re interested in, please submit a quote request with some information about your products, and someone from our team will contact you ASAP. Thank you for reaching out! In order to choose the appropriate shipping service for your business, we just need some information about products you’re looking to ship. Please submit a quote request and someone from our team will reach out to you ASAP! Please send details regarding above mentioned Shipping methods. Please send us a quote request and tell us a little bit about products you’re looking to ship to India from China so that we can tailor quotation to your unique needs. Thanks Mandeep! Please share the full details of shipping from China to India for Dropshipping. I need info what are the best suitable options from China to India. Thank you for reaching out! In order to give you the quotation that suits your needs the best, we just need some information about your products. Please submit a quote request with this information and someone from our team will send you the most suitable options for shipping from China to India ASAP! In order to give you the best possible quotation for shipping from China to India, we just need some details about your products. So, please submit a quote request and someone from our team will reach out to you. Thank you for reaching out! We’d be happy to help you out with shipping from China to India. However, in order to provide the most accurate information, we need just some details about your product. So, please submit a quote request and someone from our team will reach out to you. In order to send you the most relevant information for your business, we just need some details about the products you’re looking to ship, kind of service you need etc. So, please submit a quote request and someone from our team will send you all details in an email. Please send us a quote request and someone from our team will send you all the details regarding shipping from China to India in an email. Please submit a quote request and someone from our team will send you all the details for shipping from China to India in an email. I am a starting a store and looking to dropship from China to India. The Product line will be a general store with clothing, accessories and watches. Please suggest me how i can i avail your service to cut down delivery time and cost . We would love to discuss with you how we can help you with shipping from China to India. Please submit a quote request and someone from our team will send you an email with more details about how our services can help you to cut down delivery time and cost. I need details for shipping from China to India. let me know the details ! Thank you for contacting us! We’ve received your quote request and we’ll reply to your email ASAP. Thanks a lot for the great information. If you have further contents regarding the dropshipping to India please provide, also please provide me the link of ecourier website as I couldn’t find that in the article. We have a plan on writing more blog posts about dropshipping and e-commerce business in general. Until then, you are welcome to write to us and ask us anything, our team is more than happy to help with all the questions you may have. Thanks! Can you share me the complete details about the e-packet delivery which is especially beneficial for doing drop-shipping business in India(Country). India is not supported by ePacket, unfortunately. However, there are other similar services that can help your dropshipping business in India. Please send us a quote request and someone from our team will reach out to you with all the details via email. Thanks! while reading this blog by you, i’m very exited to more happy. as long time, we are looking for faster shipping process from china into india for dropshipping services. you are like God providing this valuable information to useful my own online store to be boosted. I have filled quote request form. Please kindly share information regarding shipping process and pricing details. Thank you for your kind words. Please make sure to submit a quote request here and we will get back to you. Can you provide me details of fastest shipping ways from China to India along with price. Thank you for contacting us! Please send us a quote request and we’ll send you all the details via email. Great and informative article. I am looking for good and fast courier service from China to India, I need to order in bulk. Also, I have ordered a few products, but they didn’t deliver after 3 months and its epacket/china post. Please suggest me any good couriers or plan? We’d be happy to discuss with you how we can help you with shipping to India. Please send us some details by submitting a quote request and we’ll get back to you ASAP! By the way, ePacket doesn’t deliver to India so maybe it was regular China Post or a different service. Thank you for reaching out! We’d need a little more information about your shipping needs to India. Kindly accomplish a quote form and we’ll get back to you via email.